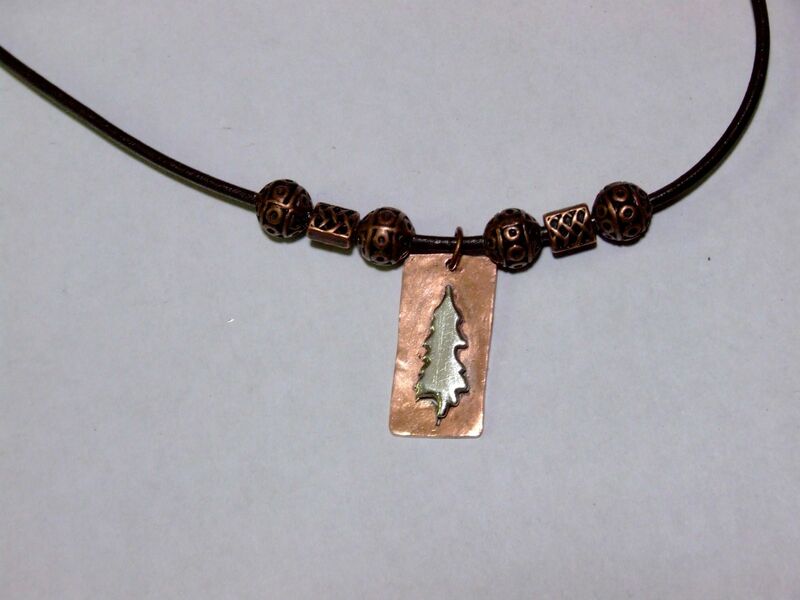 Copper/Sterling Silver tag with beaded necklace using the customer drawing with dimensions. 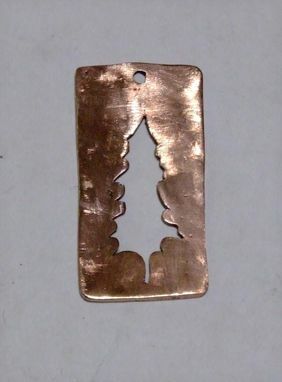 The copper tag has the tree cut out. 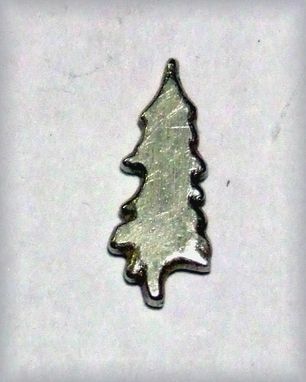 A Sterling Silver tree is fused on top of the cutout. This tree is slightly larger than the cutout for fusing. A jump ring connects the necklace to the tag. 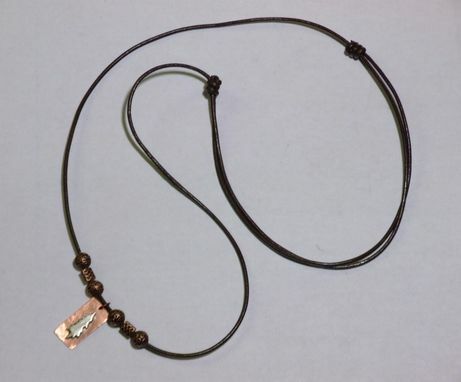 The necklace is made of brown goat leather cord 2mm in dia. It is double stranded with slip knots to make it adjustable. It contains four ball copper plated beads and two rectangular beads sizes 8mm and 7x6mm respectively.